Making sure that your loved ones are well cared for if the unexpected happens is crucial, and selecting a great Lafayette, IN life insurance plan is the first step. Choosing the proper life insurance plan is important, but making the right selection can be challenging on your own. Our team is eager to help you choose and customize the perfect insurance plan based on your individual needs and circumstances. We know that everyone has different concerns and needs for their life insurance policy, which is why we offer term life insurance plans and permanent life insurance plans so you can select the best option for you. Our permanent life insurance options to consider include whole life insurance and universal life insurance plans. Our team will help you decide if affordable, temporary coverage with term life insurance is best or if permanent life insurance, with locked-in rates and living cash value benefits, is the answer. When deciding how much life insurance you need, there is a great deal of information to consider. Our team is prepared to help you review all of the necessary factors, evaluate your current circumstances, and choose the best plan for you and your loved ones or your business. Let us help you make the best decision and have the peace of mind that comes with knowing you have the best, individualized coverage for you and your family. Farmers® Insurance – Jenna Isch can help you determine the best life insurance plan to fit your needs and goals. Term life insurance is a budget-friendly option that locks in your rate for a specified period. It is a good option for temporary needs. Meanwhile, permanent life insurance can be a good option for long-term needs, like final expenses and income replacement. Permanent life insurance offers living benefits and can lock in your cost for life. For many people, a combination of term life insurance and permanent life insurance can be their best solution. There is a great deal to consider when deciding how much life insurance you need, which is why the team at Farmers® Insurance – Jenna Isch is committed to helping find a solution. We consider all factors, evaluate your needs and concerns, and customize a unique plan for you and your family. Our term life insurance policies offer an affordable way to assure that you are covered for a set number of years. Whether your coverage is for business or personal needs, you can have the coverage you need, with an option to renew your life insurance policy at the end of the term, or convert it to a permanent policy. Whole life insurance policies protect you while offering an excellent way to save money for the future because the accumulated cash value is guaranteed. Our whole life policies are great for families or young adults wanting to save funds and lock in their insurance rates while they are young and healthy. Our universal life insurance policies are permanent policies that offer flexibility and the potential for adjustment as your unique circumstances change. We offer benefits such as adjustable coverage levels and benefits, flexible payment options, and much more so you can tailor your plan to you. When you need insurance coverage, you want to work with someone you know you can trust. Jenna Isch is the local Lafayette, IN insurance agent you can rely on to give you an honest evaluation of the coverage you need. 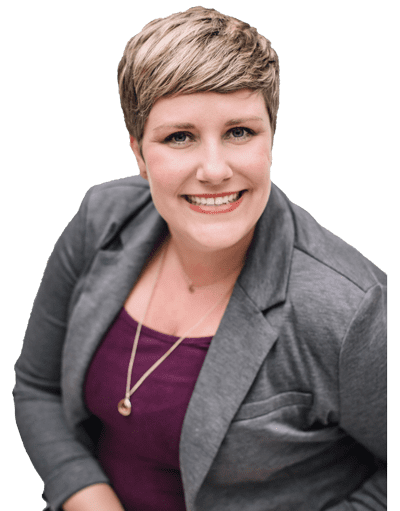 The team at Farmers® Insurance – Jenna Isch is dedicated to providing personalized plans for your home insurance, auto insurance, life insurance, and more.